DMT Flexi-Sharp® steel sheet - diamond coated on one side. For hands-on control, use DMT’s Flexi-Sharp sheets. 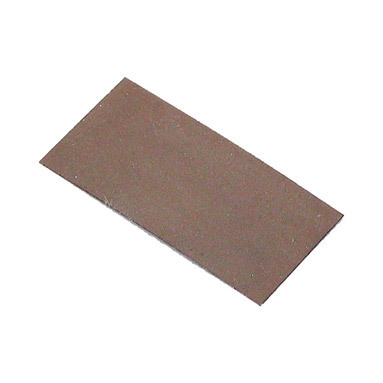 Flexible steel shim .006" thick, diamond coated on one side. Cut, bend, glue or screw mount to create a custom diamond abrasive tool. Fine diamond (25 micron / 600 mesh) for a razor sharp edge. Sharpening with diamonds is fast and easy. No messy oils needed-sharpen dry or with water. For proper tool maintenance, woodworkers, chefs and other professionals rely on the superior quality and versatility of DMT products. Made in USA. Sheet Size: 1" x 2" (25mm x 51mm). Custom sharpening, honing, deburring solution. Durable & flexible construction provides for customize use.